I know that I said that last week’s This Week in Genesis was the last before 2016 but I had one more little Christmas treat I wanted to share with you all here on GenesisWP.guide, an interview with the Genesis community’s one and only Susan Ramsey! Probably of all my interviewees so far, she’s the most well known in the Genesis community but for those that don’t know, Susan is not only a one woman force of nature on the StudioPress forums solving (and encouraging others to help solve) problems in the community; she’s also the support guru at successful Genesis theme shop Pretty Darn Cute Design; and owner of One Happy Studio, her own Genesis focused business. Plus, Susan also put out her first Genesis premium theme this year, entitled Elise on a ‘pay what you want’ model via Pretty Darn Cute. But enough background information on a lady most of you all already know, I’ll jump into the interview now and let Susan speak for herself! NICK: I know I jokingly refer to you as a Genesis community legend in some of the This Week in Genesis updates, but you absolutely are a legend in the Genesis community (in the most positive sense of the word)! I remember, particularly when I was first starting out in Genesis (in early 2011, I think it was) you seemed to be everywhere, popping up on Twitter and in the community forums (I assume you must have a clone?). So my point being that I know that a lot of the people reading this will likely know about you already. But for those that maybe don’t know or know you only for Genesis, tell us a little bit about yourself, where you live, what you do and what makes you tick? 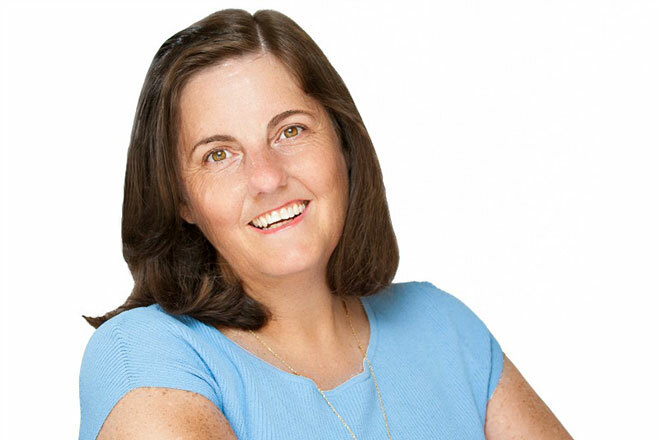 SUSAN: My social media tagline is “British born, Australian raised, American…” – I grew up in Australia, but moved to the US early on in my marriage; we lived in the Chicago area for a number of years before moving to Fort Worth, Texas in 2009. We have a teenage son and two dogs. I work full time as an IT Project Manager, focusing on the deployment side of the project cycle. How did you first get into Genesis and how long have you been working with it? I was a craft blogger on the Blogger platform for a number of years (I started my first blog in 2003). When we bought our house, I started to follow a lot of home decorating blogs, and noticed that a lot of my favorite blogs had one thing in common – they were all build on the Genesis Framework. In 2012, I decided that I was ready to move my blog to WordPress, so using the Genesis Framework seemed like the natural choice for me. The Genesis Framework does the “heavy lifting”, meaning that someone who wants to be able to customize their own site can do so by modifying a child theme; the average blogger doesn’t need (or want) to know how it all comes together – they just want the opportunity to change the colors or fonts and be able to give their own stamp to their website without having to worry about becoming a developer. Having the Genesis Framework as the core of their site gives them peace of mind that their site is build on a rock solid foundation. I think this is probably why I may be so well known in the community. When I first moved to WordPress and the Genesis Framework, I was a complete beginner, and picked things up pretty quickly. I asked a couple of questions on the old StudioPress help forum, and then started answering others questions for other users; I wanted to share my enthusiasm for this platform. Pretty soon after I started using Genesis, I abandoned my own blogging to focus on helping others build their own sites. I enjoy traveling and photography, although I don’t get to do as much of either as I would like! I would love to buy an Airstream (I’m a little obsessed about this dream of mine! I’m undecided on whether I will buy a new one, or a vintage restored one), and travel around the US, visiting each of the National Parks. That’s on my retirement bucket list. Most recently, you’ve recently rebranded as One Happy Studio (from Graphically Designing), can you tell us more about that and how it’s going? I purchased the domain Graphically Designing when I first gave some thought to making a business in WordPress. The previous owner of Graphically Designing, (Darcy Milder) had been a Genesis recommended developer, but she had retired from the business by the time I bought my first theme (Modern Blogger, by Lindsey of Pretty Darn Cute Design). Buying the domain (I didn’t buy the business) was a good business decision, as I have been kept busy since then, but over the past couple of years, I’d been giving thought to really establishing myself in my own right, with my own brand identity that was uniquely mine. The hardest part was choosing a name (who knew?) – my own name was not available as a domain, so I chose something that I thought what convey what I’m about – I like to consider myself happy, exuberant and outgoing, so One Happy Studio was born. It’s been a great move for me. Do you have a typical type of client you work with at One Happy Studio? And do you tend to focus on one particular area (consulting, design, development, support) for your clients more than any other or is it a mix? I work predominantly with female bloggers or small business owners – I seem to go through phases with the types of businesses – I’ve worked with a number of teachers in the past year; a couple of years ago, I worked with a lot of people who owned baking businesses! Most are just getting their feet wet with their first site, or are wanting to get started with WordPress, so I do a lot of theme setups, and basic customizations, and assist with support issues. In the future, I’m looking to focus more on theme development, and fully custom websites. The first theme I purchased was Lindsey’s first theme, Modern Blogger. Lindsey noticed that I was helping to answer questions on the StudioPress forum, and approached me to help her with theme support when the support model was moved from forum to a dedicated help desk. Around this time, I was also providing theme support to a couple of other third party developers; eventually, Lindsey asked me to join her team and work with her exclusively, so I’ve been doing that for about two years. Working with Lindsey has been a tremendous opportunity for me – in addition to providing theme support for all the Pretty Darn Cute Design themes, Lindsey offers a 24 hour theme setup service, and I take care of all of those, and any customization requests which come in. In terms of balancing my time between Pretty Darn Cute and One Happy Studio, I don’t give it a lot of thought; I write tutorials over at One Happy Studio (I have a “Genesis for Beginners” series), which are written in response to some of the support questions I receive over at the Pretty Darn Cute Design support forum. Lindsey has been great about encouraging me to develop my own business and identity, and has promoted my services through her website and Facebook page, so I think it’s a good, collaborative relationship. Recently you launched, I believe, your first ‘for sale’ Genesis child theme, Elise. Can you tell us a little more about that and how it’s gone? The theme Elise is very special to me; it’s named after my daughter (who passed away at the age of four); I knew what the name would be even before I started designing it. It’s designed to appeal to the “mommy blogger”, so I chose colors, functionality, design layout and images that would be attractive to that niche. It’s been a popular theme in terms of the numbers of unique downloads, and I’ve been really happy with the feedback which I’ve received; it’s definitely encouraged me to keep learning and creating new themes. Something, in particular, I wanted to ask you about is the ‘pay what you want’ pricing for Elise. What was the thinking behind that and how has it gone? And do you think you’ll do a similar model for any future theme releases? The idea behind the “pay your own price” was twofold – an opportunity to give back to the community, and also a way to introduce One Happy Studio as a theme developer in the Genesis marketplace, which is a new direction for me. For future releases, I think I’ll be pricing them as regular products, but may offer a limited time “name your own price” as a special promotion. You probably have a pretty good overview of what’s going on in the Genesis marketplace (and community). Based on that what do you think of the current state of the Genesis theme market and where do you see it headed? I want to be Lindsey when I grow up. She is so creative, and has her fingers on the pulse when it comes to what’s happening in design. In terms of other businesses – I get to see a lot of designers work because people provide me with sites they like for design inspiration, so I’m always discovering something new. I also like Designer Blogs, not necessarily for the design, but for their business model – they specialize in theme setup of their own themes; they don’t sell the themes as templates. Theme setup has always worked for me in terms of my own business because I currently do this on a part-time basis. What’s next for Susan Ramsey and One Happy Studio? I’m working on some more of my own themes; one will be a photography theme (my husband is a photographer, so he has some specific ideas of what he would like in a website), and I’m working on a theme for fashion bloggers. It was a blast! It was awesome to finally meet Brian in person – we’d talked on the phone and had a number of email conversations, but this was my first time meeting him. It was wonderful to meet so many other Genesis users from around the country, and catch up with others whom I have meet previously. And, it’s always great to spend time with Lindsey – we talk business, but also just have some fun at the same time. I haven’t watched either Game of Thrones or Downton Abbey, but if I was forced to watch one, it would probably be Downton Abbey – two of my favorite TV shows when I was growing up were British period dramas – Upstairs, Downstairs, and The Onedin Line, so Downton Abbey would probably be more up my alley. Thanks so much to Susan for taking the time to answer my questions and being so open with her answers. It was great to see her launch her first premium theme in 2015 and I’m excited to see what else she does in 2016! And, if you didn’t already, make sure you check out her Elise theme. PS If you’re interested in other interviews I’ve done with fine folk from the Genesis community check out all the interviews I’ve done so far or subscribe below for future updates. Thank you so much, Nick, for inviting me to participate – the questions were great (and challenging!) to answer. I hope 2016 is a successful year for each of us! Thanks Susan, it’s an honour to have you on here! Susan is a great lady! Always patient and helpful. She’s clear with her instructions and if you still can’t figure out something, she keeps on helping. I’m so glad I met her through “Pretty Darn Cute”. Susan is patient and has a clear understanding of the web design & theme customisation process so she’s also easy to work with.